Northern Harrier (30/365 v2.0) – Annoyingly Boring? At least I think it’s a Northern Harrier. 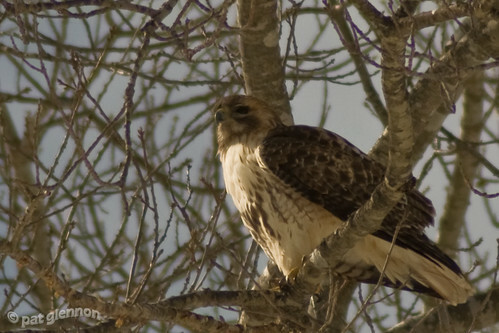 Also known as the Marsh Hawk, this hawk was about 40 feet from me when I spied her (I think it’s a female) and pulled over. By the time I had my camera ready she had flown high into a tree. This shot taken from a few hundred feet with an effective focal length of just over 400mm. Excellent. I need that kind of zoom for the Bald Eagles living down the road from me. They are a bit camera shy and tend to fly just out of the zoom range for my little powershot. When you walked away did he exclaim “He gone!”? I agree with marsh hawk. Immature goshawk look very close but wouldn’t be out this time of year. ← Happy Squared Date Day!